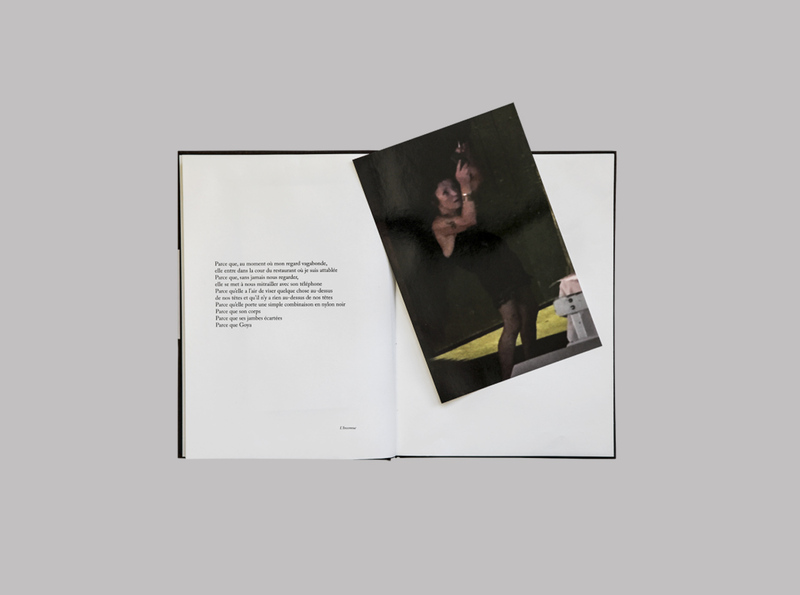 Parce que offers a journey through all the images hidden in the Japanese binding of Sophie Calle’s new book. The moment of shooting gathers a multitude of thoughts that intertwine with space perception and result in a photograph. Although almost simultaneous, these thoughts precede the image. On a page we read ‘Parce que j’ai lu: “passé”’ (because I have read: ‘past’). When taking the photo out, we find a sign that reads ‘Cette porte doit être fermée à l’aide du passe’ (this door must remain closed to facilitate the passage). Some photographs talk about language, the games and the poetry that generate its ambiguity; others are born from the solemnity of the moment, instants that connect with people on the verge of death, and clouds that in the eyes of the photographer look like anything but clouds. An explanation precedes each of these images. 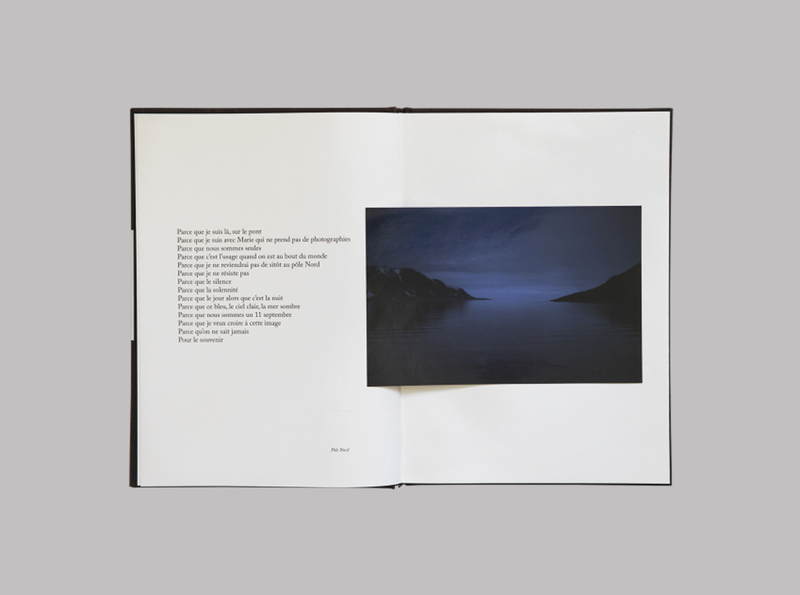 This desire to explain extends to the book’s raison d’être, developed on the first page: during a conference in 1985, Denis Roche thoroughly described the origin of his photographs without displaying them, only to show them for an instant. This made an until then rather bored audience stand up in ovation. 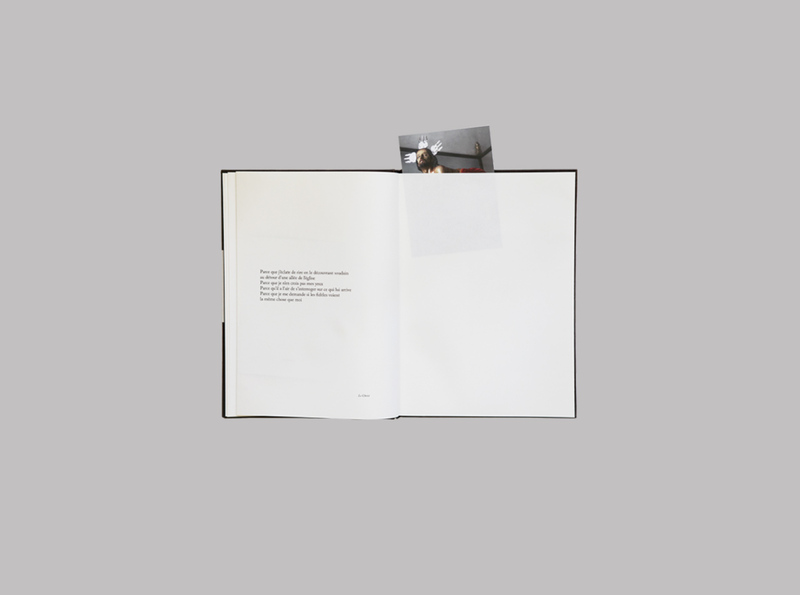 Contrary to other photographers who are convinced that their work must explain itself, Sophie Calle’s position hiding the photographs inside the book is a declaration of intent. Texts will clearly affect the way in which we read each image but, ¿is that wrong? 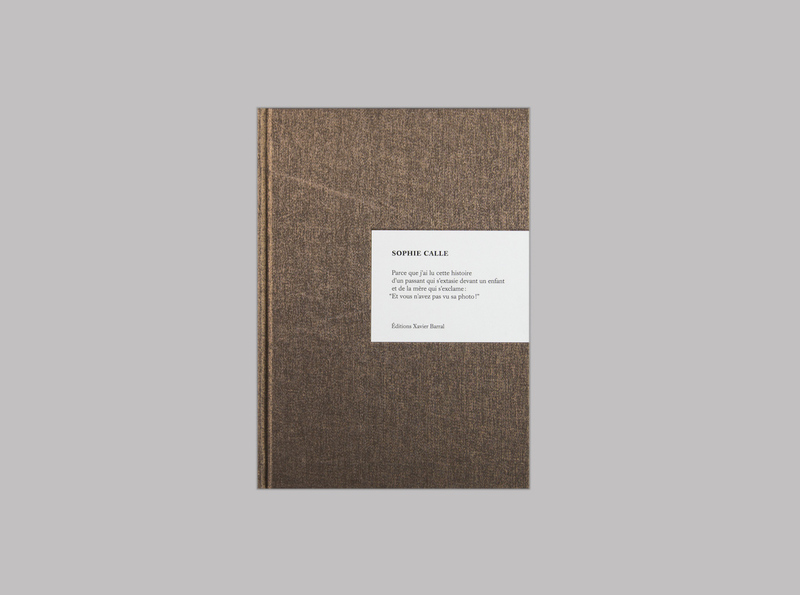 In Calle’s case, her work intertwines text and image so smoothly that it is impossible to prioritise one over the other, perhaps one could say that the most important thing is the story and that she uses both elements in order to narrate it. In her technique, personal and non-transferable, there is an important message to remember: language is not an enemy of photography, it is the basis of our cognitive ability and, therefore, it remains in the origin of all photographs taken from the birth of this technique to this day.